​​Due to successful online sales, our U Pick will no longer be available this season until further notice. Thank you to all of our customers that have been trying out our online purchasing system. We hope you've been enjoying it as much as we have. Stay tuned as more is being added daily to our products list. We are nearing the end of our black currant season. We still have some but will be cleaning up the bushes in the next week or so. If you're interested in more than we have available on our website, please contact us to check for availability. We are sold out of raspberries for the season. Thank you to everyone who pre ordered raspberries. This year we had limited availability of raspberries as well (our sneaky horses last year thought the plants as well as the berries were a tasty treat). We are planting some new stands and will hopefully be able to grow as quickly as demand is growing. We truly appreciate the support. On August 19th we will be hosting Northlands on their Alberta Open Farm Days tour. They have several different tours to choose from so check out all of the interesting stops they will be making that day. Northline Farms is a fresh produce farm 20 minutes east of Edmonton in Strathcona County. We work on the same property as internationally recognized purebred operation, Northline Angus. However on this side of the business we appreciate the cattle above all for all the compost they provide. A stone's throw from Elk Island Park, Cooking Lake - Blackfoot Provincial Recreation Area and Strathcona Wilderness Park, we are lucky enough to be close to nature and recreation. Its a great place to be so we hope you will visit our great rural community and be part of our farm experience. 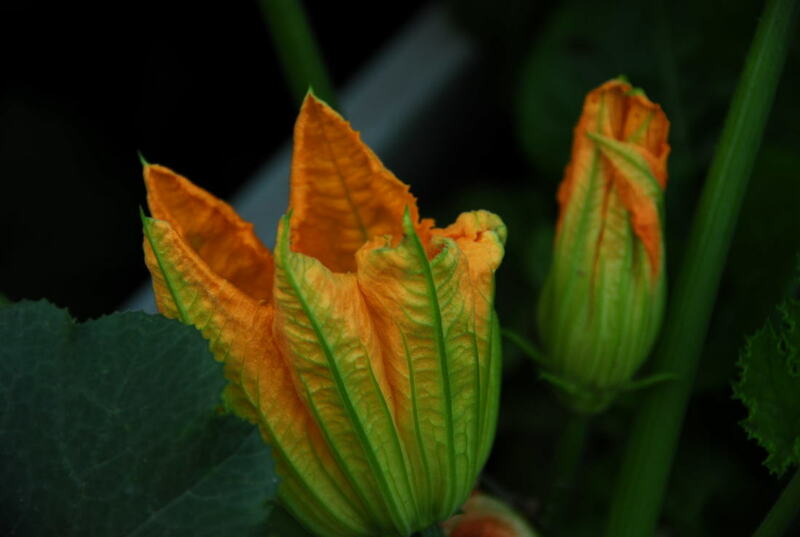 We produce fruit, vegetables, flowers and herbs. These are sold through our self serve roadside stand, online, our produce baskets and contract growing. We sell landscape products such as perennials, shrubs, trees and grass seed. As well we offer landscape consultations to determine the best landscape solutions for your site. We work with land owners close to us who are looking for someone to help manage or rejuvenate their pastures. We do custom hay and pasture management.